As you are reading this, the General Assembly will be in the early days of its 2010 regular session. This year is a so called "short session" when only bills that are introduced by a committee and bills that have a financial impact can be considered. Most everything has a fiscal impact today, so that a lot of room for individual legislators to introduce new. Normally there is enough talk around the capitol that everyone has some idea of the major bills that will be introduced, but this has been an unusually quiet year. There are still major deficits in the 2010 - 2011 budget and all the legislators will be up for reelection this fall, so no one wants to stick their neck out very far. Governor Rell called the General Assembly into a special session in December, but all they did was formally open and close because no one had any good solutions for the financial problems. I anticipate most of the legislative session will be taken up with adjustments to the budget. I try to vary the topics in my articles, but lately most of them have been related to the State's financial problems because that is the main topic around the Capitol. Everyone has questions and no one has answers. I predict that the 2010 session of the General Assembly will spend most of its time on the budget. This year also promises to be an interesting year for election campaigns. Four of the State's six elected officials will not be running for the offices they now hold, Senator Dodd has announced that he is giving up his seat in the United States Senate and all of the seats in the Connecticut General Assembly will be up for election. Some senators and representatives will for reelection to their present seats while others will run for other offices or decide they do not want to run for office again, leaving their seats open to new candidates from both major parties and possibly from independent and minor party candidates. The Grange has a cherished history of debating issues, but staying out of partisan politics. A Grange may have a program where candidates discuss the issues, but all candidates for any particular office must be invited to participate on an equal basis. The Grange may ask the candidates for their views on whatever topics are of interest to that Grange, but all candidates should be given equal time to express their views. Individual Grange members may lobby for the candidates of their choice outside the Grange, but the Grange itself may not lobby for or endorse any candidate or group of candidates. 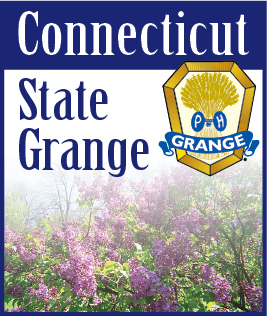 The Grange encourages everyone, both members and non members, to be informed voters, but at Grange meetings and all other Grange activities they must be nonpartisan voters.